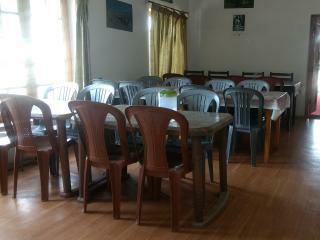 This is a Class Hotel At a Very Cheap Rates in City. Step Into An Ambience Which Goes Beyond the Conventional Limits of Hospitality, Luxury and Comfort. Experience the Feeling of Being Really Cared For, the Feeling of a Home. Complimentary Newspapers in Lobby, Backup Generator, Front Desk, Laundry Facilities, Internet/Wi-Fi, Taxi Service, Airport Transportation, Room Service, Parking, Major Credit Card Accepted. Luggage Rack, Desk, Complimentary Newspaper, Telephone, Attached Bathroom, Dustbins, H/C Water, House Keeping, Television Room, Cable/Satellite TV. User reviews for "Siddhartha Hotel Leh"